Our web open call, developed together with the Mayor’s Fund for London, is rolling on. #BEOPENDesignCity challenge is inspired by the City Pitch Leadership Programme, and here are a few outlines of this great inspirational project. City Pitch at City Hall, London, UK. City Pitch is a programme which encourages and helps young Londoners to plan and launch a social action project in their community. 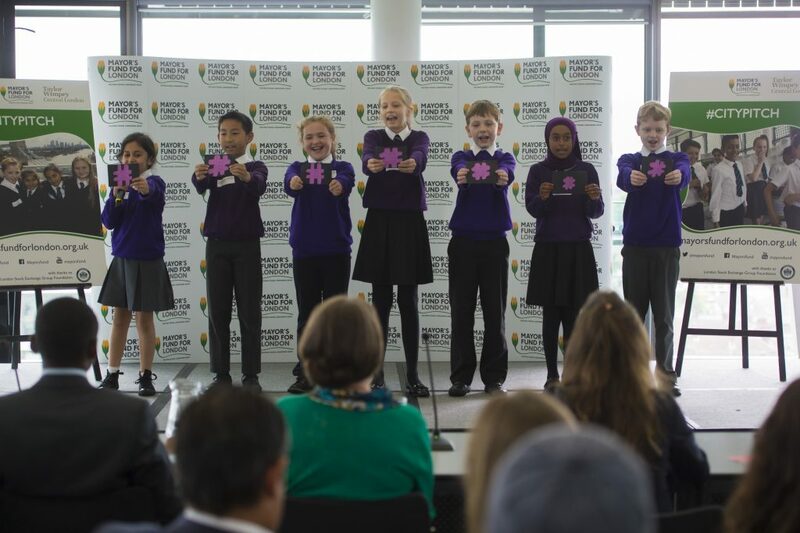 Armed with business plans and budgets, top schools get invited to attend City Hall and present their entrepreneurial projects to a panel of judges that includes a cross-section of industry leaders, for a chance to win up to £1,500 of funding. Children are also provided guidance necessary for them to develop their leadership, project management and communication skills. Do you have an idea of how to improve your city? Is there anything unique about your city that you believe will do good for all the cities of the world? Via #BEOPENDesignCity open call BE OPEN and MFL encourage everyone to visualise and share these ideas via Instagram or Facebook with the #BEOPENDesignCity or #BEOPENCityPitch hashtags. The contest is open for submissions until January 31, 2018. The winner will be selected by the members of the BE OPEN and MFL teams from a shortlist of submissions with the highest ratings of likes by Instagram and Facebook users. The winner will receive EUR 300.